​Napoli condemned Chievo to relegation as they ran out ​3-1 winners on Sunday evening in the Serie A match between the two sides. Two goals from captain Kalidou Koulibaly either side of an Arkadiusz Milik strike sent Chievo down to Serie B and also put Juventus' title celebrations on hold for another week. 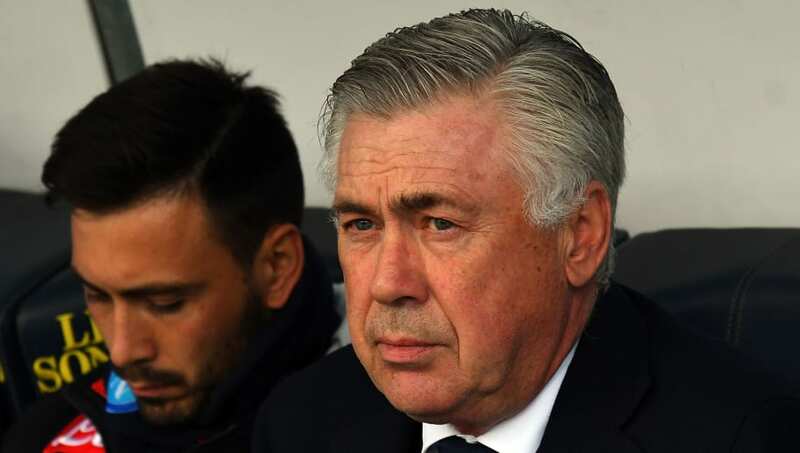 Carlo Ancelotti will now turn his attention to his side's Europa League quarter-final second leg against Arsenal on Thursday, as his team attempt to overturn a two-goal deficit and progress to the next round of the competition. The Italian, in an interview with ​Sky Sports Italia, said that the forthcoming European game affected his players' performance against Chievo: "We had a lot of weight on us, so much so that in the race there was a lot of attention, a lot of application, but also a lot of fear. We were not loose. Then Milik's goal settled everything "
The 59-year-old was questioned about whether he had worked out his side's formation for the ​Arsenal game, but Ancelotti wasn't giving anything away. He said: "Choosing is always difficult, it was still difficult today. I wanted to put a reliable education from a character point of view, because there could be imbalances, as happened in Empoli, where I had changed a lot." Ancelotti elected to start the match with an attacking trio of ​Dries Mertens, Lorenzo Insigne and Milik, with the latter notably absent at the start in the Europa League first leg at the Emirates. When asked whether the three could start against the Gunners, the ​Napoli boss said: "It is possible. Arek? He did not play all the games, given that in the first part of the season I preserved a lot of him: he has impressive numbers that put him among the top attackers."